Little Makayla Gallehawk loves to dance – nay, she lives to dance! 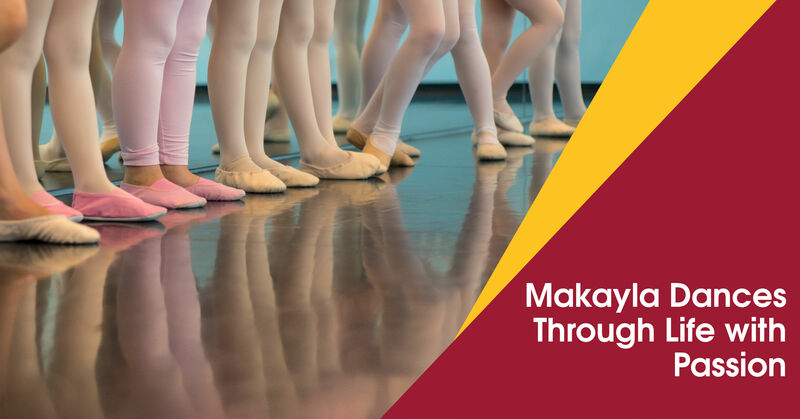 The eight-year-old from Bundaberg discovered a passion for dancing from a very young age, and having the help of disability service CPL has enabled her to live her dream. Makayla has cerebral palsy, and as a little girl she found socialising and leaving the house difficult because she wasn't able to sit still, follow instructions or take turns. Enter CPL – Choice, Passion, Life (formerly Cerebral Palsy League). Choice, Passion, Life is an organisation that offers support packages including disability, therapy and aged care services. They tailor their support services in homes, schools and communities so that their clients can live the life they choose with passion. Makayla has been with CPL for two years, and the therapy they facilitated has given her the freedom to live life to the fullest, which includes pursuing her dreams of dancing. The family are thrilled by her new-found confidence, and it’s largely thanks to CPL. The Cerebral Palsy League initially started way back in 1948, by a group of concerned parents in Brisbane. Fast forward over 60 years and CPL is still going strong, albeit with a name change that better reflects their wider goals. Now known as Choice, Passion, Life, the organisation believes in giving people freedom of choice, the opportunity to chase their passion and the support to live the life they choose. They also changed their name because they wanted to acknowledge their support for people with other disabilities too. CPL can also support families through the process of applying for the NDIS, and there is a wealth of information on their website. They also host a number of NDIS planning events that parents and families can attend in person, with information for both adults and children. For more insight into the wonderful services that Choice, Passion, Life offer, visit their website at http://www.cpl.org.au. There are also links to donate to the CPL cause if you are in a position to help them help other people live their passions. New Traralgon Showroom & Clinic Facility Now Open! Is it Safe to use Bed Poles or Bed Sticks? Why use a Lift Chair?